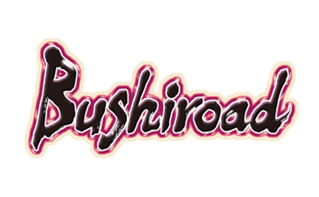 Singapore, December 22, 2012 – Bushiroad Group Publishing Inc. announced the release of an English version of its current logo to increase brand awareness across the international market. The new logo was created in response to the increasing demand and interest for Cardfight!! Vanguard and other Bushiroad titles in the international markets. The new Bushiroad logo will represent Bushiroad and its branches in future international English-related products and events. The Japanese logo (below) will remain in use for all Japanese-related products and events. The English logo will take effect from January 1, 2013. English product releases from March 2013 will feature this logo. Bushiroad Group Publishing Inc. consists of 5 sub-entities: Bushiroad Inc., Bushiroad South East Asia Pte Ltd, Bushiroad USA Inc., Hibiki Inc, and New Japan Pro-Wrestling Co., Ltd.